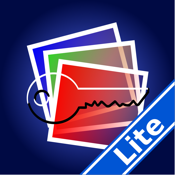 AccessByKey Lite: Private Secret Photo And Video Album is the best app to store your private video and photo safely in your iPhone/iPad/iPod touch. Your content is protected by a secret key and no one has access to your private albums but you; and, most importantly, no one can tell there is a private album hidden from them. After you open the program, you are asked to create a Key – any combination of symbols you want. After you choose the combination, you enter a main screen. AccessByKey App allows you to create a different key for every album – that is, you can create a folder for photos from your work under the key “Job” and a folder for Cuba photos/video under the key “Havana”. AccessByKey App allows you not only to sort out and catalog the photos and videos, prohibits the unauthorized access, and, what is even important, no one can even tell that there is anything hidden. 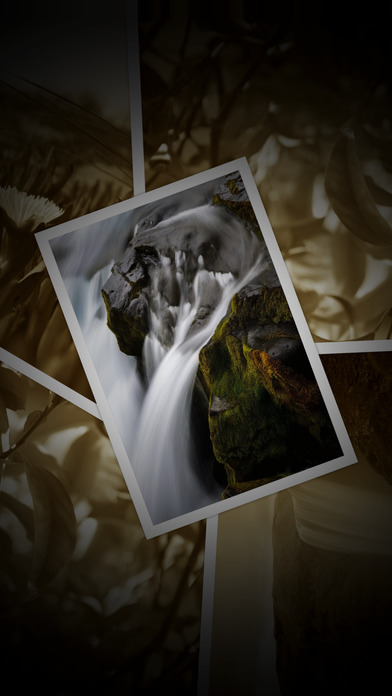 The App works with photographs, video, pdf documents. Documents which can’t be open by AccessByKey App you can open with a help of other applications in your iPhone/iPad/iPod touch. In «Folders» you can create some folders, easily rename or delete them. 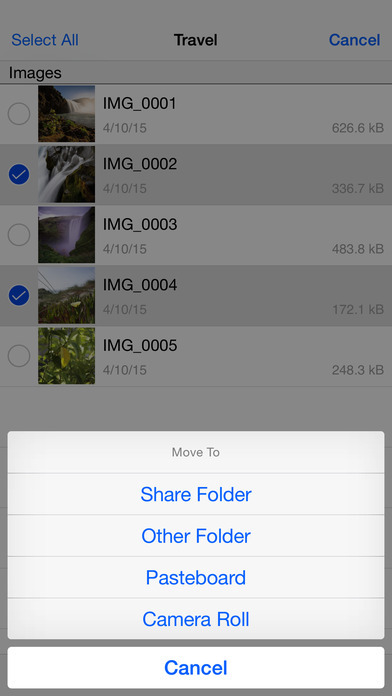 Your access to the folder “Share” can be done with any of the keys you’ve created previously. This folder allows you to move the media content from one protected place to another, also this folder can be used to transfer files from PC/Mac to your iPhone/iPad/iPod touch and back. 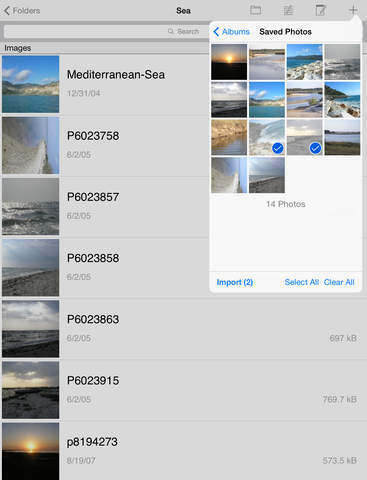 You can add new photos and video from your camera, from “Camera Roll” and from “Photo Library”. You can also use the fast search option. Files can be easily renamed, copied, deleted, or transferred into another folder, Pasteboard, or into the “Camera Roll”. You can copy, delete, transfer all photos simultaneously which makes it easy to work with a great amount of photos at the same time. Files in the folder are sorted by name. You can also view the file size and the dates of its creation and last change. You can view your media files one by one, mix them, move to the beginning or the end. 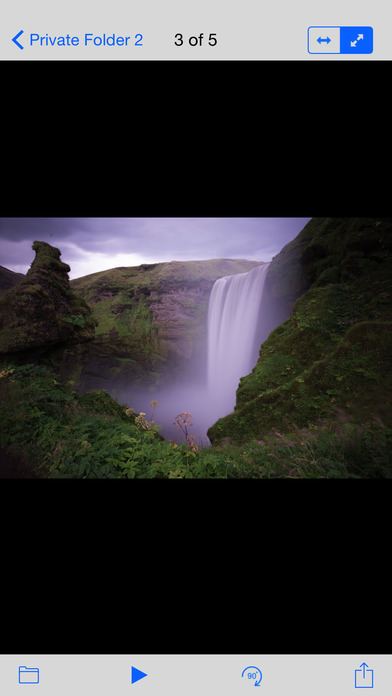 You can also increase the image of the photos by double clicking. The image size will triple. To return to the initial size you double click again. -There is the limit of 7 folders per user account. Full version of AccessByKey App has no limitations on amount of folders and files.